Now making hair conditioner at home can be really easy! Here are 3 simple recipes based on basic ingredients! Just as shampooing your hair is an important part of the daily/ weekly beauty regime, so is conditioning! Why you may ask? It’s because conditioner is used for detangling and hair smoothening. However, the harsh chemical-based conditioners being sold at beauty shops these days are weighing your hair down, making them greasy, sticky and therefore exposed to scalp infections. But you can’t avoid conditioning your hair. So, what’s the solution? How about making your own, chemical-free hair conditioner which ensures good health of your tresses? Well! Let’s take a look at 3 homemade conditioner recipes are safe for all hair types and gently conditions without exposing your hair and scalp to harsh chemicals, unlike most “branded” conditioners. 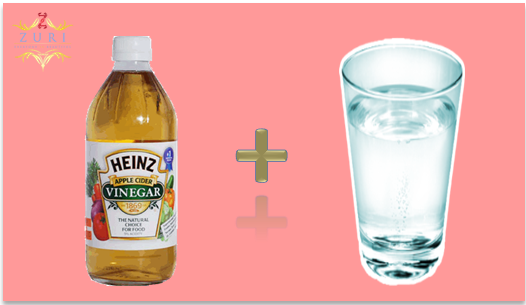 Mix 1 tbsp of Apple Cider Vinegar in a cup of purified water (this quantity is for one-time use). You can actually use your old, empty branded bottle of shampoo for a refill. 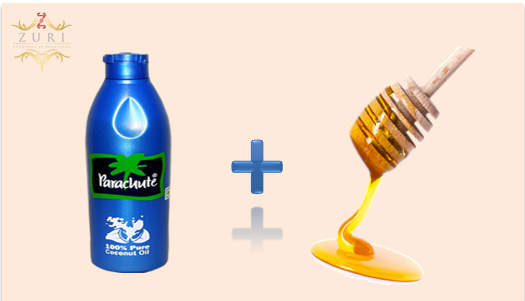 When applying this amazing homemade concoction, shake the bottle and squeeze out the liquid. Gently massage your hair and scalp with it. When the hair and scalp has soaked it in and you can literally smell the vinegar, it’s time to rinse it off with lukewarm water. One of the best homemade hair conditioners invented by our great grandmothers. This one is super effective and really easy to make at home. All you need is a bottle of coconut (extra virgin is preferable) or olive oil and honey. For one-time use, mix 2-3 tbsp of honey in 3-4 tbsp of coconut or olive oil. Mix these two ingredients in a small glass bowl and heat the mixture in a microwave for 20 seconds before applying it. When warm, apply it on the tips of your middle fingers and brush it off your hair length after having massaged the scalp. You can apply it on dry as well as damp hair. Leave it on for about 30 to 45 minutes and rinse it with lukewarm water. If rinsed well it will hydrate your hair without leaving it oily. This one might sound like a refreshing drink for your body, however, we are actually talking about a powerful food-recipe for your dry, dull hair. 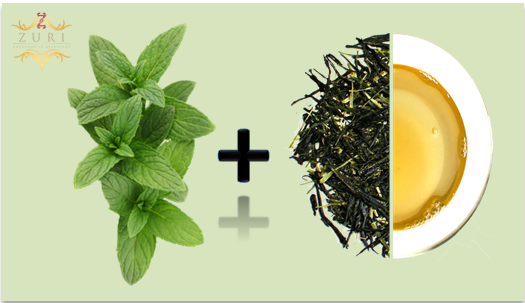 The combination of cooling mint and black or green tea makes it one of the best hair conditioner recipes for your hair. Tea is extremely rich in minerals which provides a smooth texture to the otherwise unmanageable hair. Mint, on the other hand keep the summer-wrenched scalp – cool and prevents it from infections caused by sweat and humidity. All you go to do in order to prepare this conditioner is grind the freshly chopped mint leaves and add them to 2 cups of boiling water. Boil till the water reduces to half and then strain the liquid. Keep aside and let it cool for sometime. Now, add a handful of tea leaves in another cup of boiling water. Let the water boil for 5 minutes and strain the tea. Let this tea liquor cool down. Mix the tea liquor and mint water together and rinse your hair with this mixture only after you have shampooed your hair with a homemade shampoo (for best results). So all you ladies out there who believe in homemade recipes and try them out from time to time. Happy conditioning!